Washington (CNN) - With the midterm elections less than four months away and closing, the Republican National Committee is launching a new messaging campaign to highlight what it considers the GOP's favorable political landscape, as the party tries to expand the campaign map. "With just over 100 days to go until the November midterm elections, the momentum is on the Republican side," declares the RNC, in a messaging email obtained by CNN. As part of its efforts to expand the map, the RNC is announcing that its putting additional staff in Hawaii and Oregon, two blue states the GOP hopes to put in play this November. If the midterms turn into a wave election for the Republican party, similar to the 2010 contests, the RNC believes it has a shot at defeating Democratic Sen. Jeff Merkley of Oregon and thanks to a divisive Democratic gubernatorial primary in Hawaii, the party committee thinks that seat may now be in play. Each day this week, RNC will be putting out research narratives to tout what it describes as its "winning" messaging, and how that messaging is being implemented on the campaign trail. Monday's narrative is Obamacare, followed by Energy, the Economy, and Government mismanagement. Friday the RNC will look at what it calls "Obama is a drag on candidates," which looks at the President's poll numbers and policies. "Ultimately, the Democrats' biggest liability is their leader. President Obama's popularity seems to hit new lows every week. The Democrats running for office-especially those running for re-election-are rubber stamps for his unpopular policies," says the RNC statement. 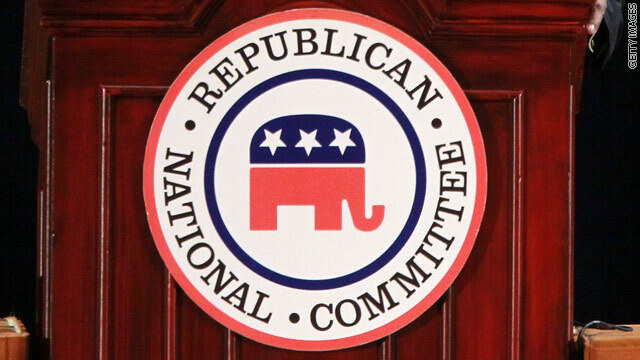 "What is this, the RNC’s 15th rebrand? The Republican Party’s problem has never been the number of press releases and staff – their problem continues to be their message and candidates," responds Democratic National Committee Press Secretary Michael Czin. "As long as Republicans prioritize things like investigating debunked Benghazi conspiracy theories, suing the President and raising the specter of impeachment while not supporting key priorities to help the middle class like raising the minimum wage and equal pay – the American people will continue to reject their candidates and their party," Czin adds. The smaller, more typical midterm electorate traditionally favors the Republican Party. That's because single women, and younger and minority voters, who are big supporters of Democrats in presidential election years, tend to cast ballots in smaller numbers in the midterms.
" The smaller, more typical midterm electorate traditionally favors the Republican Party. That's because single women, and younger and minority voters, who are big supporters of Democrats in presidential election years, tend to cast ballots in smaller numbers in the midterms." "If all of our red state brothers and sisters do their duty this November and throw out every single red state Democrat Senator, this country can finally begin its long climb back from the Lost Obama Years"
If all your red state brothers and sisters would get off the dole and quit sucking money from the blue states maybe you wouldn't have to get on here and spread hannity lies about our fine President. Did you sustain some sort of head injury as a child? Maybe if you all would learn and practice some of those 'Christian values' (like forgivemess, tolerance. sharing, loving thy neighbor, and all that stuff you all 'talk about' at church on Sunday, but never practice after that) maybe this would be a greater country. You cannot just 'talk the talk', you have to 'walk the walk'. Watching all these 'Christians' treat these scared children like pariahs is just sickening to me. And, seeing them daily LIE about issues and the President is just fascinating... is this okay in the Bible? I can't find it anywhere. George H.W. Bush was right on the First Iraq War & calling Reaganomics "Voodoo Economics". Reaganomics, the START of the Great Middle Class Decline. Bill Clinton saved it, Obama is rescuing it. Oh yeah, you can thank St. Ronnie for ushering the Anti Jesus Philosophy of "I Got Mine". "It was talking about giving tax cuts to business owners that would create 15,000 jobs immediately. " It was talking about giving tax cuts to business owners that would create 15,000 wealthier business owners who pocket the new profits immediately. The argument that says ax cuts create jobs is a Trojan Horse. The true purpose of the tax cuts is to reduce the taxes on wealthy until they pay nothing. Period. The job creation talking point is just an altruistic argument designed to deceive the sheep who are too uninspired to think for themselves and believe anything that they are told. 40 years of GOP tax cuts for the rich prove the theory doesn't work. Bush had about the lowest job creation numbers, and those tax cuts for the rich blew a giant hole in the budget. It just goes to show, the GOP has one gun, and they just keep shootin' hoping to his something someday. Trickle down economics works exactly the way it was supposed to. You create this huge amount of wealth for the top and by the time it gets to everyone else it is only a trickle. They just happened to leave out the fact that inflation would nullify and negate the trickle. Dominican mama 4 Obama – " Benghazi conspiracy theories ...This has got to be the longest running, most ridicuous soap-opera currently playing anywhere. Hard to drum up interest in recycled stupidity. " You should tune into right-wing propaganda occasionally, to see how it works. They sell it and the viewers eat it up. Reminds me of my sister in the early sixties, with a new hit 45 (that's a record, not a gun). She would play the same song, until none of us could stand it. But she never got tired of hearing it, until a new one came along. In her defense, she was only 13 or so. Mentally, about the same as the typical RWNJ. @Smith..."a block of Dem. voters that are not interested in mid-term elections." OK...try telling that to McDaniels down in Mississippi, buddy. yes, we know. democrats are always up for committing fraud and messing with elections. it is why they fight voter ids so much. And we would expect GOP vs TP to be honest above board and fair? That is what the McDaniel debacle was: GOP vs TP. It was nasty and devious. And still the loony right finds a way blame a small number of largely legally voting DEMs. "The democrats are so out of touch and have damaged the economy and country so badly that only ideologues of their partyact like all is well... They are destroying the country I love are doing it intentionally!" The fact of the matter is that the right wing is complete denial of reality. The worst economic times that this country has seen over the past century have been a direct result of right wing economic policies when they are in power. Their "trickle down economics" policies are also known as "boom then bust economics" because that is always what happens when such policies are aggressively enacted. Economic downturns. What other outcome could you possibly expect when you purposely unbalance the economy, tilting the table in favor or one socioeconomic group, the plutocrats? Republicans love to make loud noises about the "greatest transfer of wealth", while their "trickle down" theories promote that exact idea. It's all a bunch of smoke and mirrors to protect the wealth of an emerging caste of plutocrats in this country. The only thing "being destroyed" are the impediments and road blocks that I see liberals trying to erect in order to stem the tide of greed. Oh trust me I have tuned into the right-wing propaganda machine. Much more than that I just don't have the disposable time for Bill! No need to refresh my memory on 45's and LP's. "The worst economic times that this country has seen over he past century have been a direct result of right wing economic policies when they are in power". Wow, what a mouth full of *hit. The democrats had the congress for 40 years. Is that the time you are talking about? So why isn't everything fixed by now? Please tell me, we all want to know. And why, do we have an 18 Trillion Dollar Federal Debt???? "Not allowing votes for personal....." Why does the right wing always blame Sen. Maj. Leader Harry Reid when House bills are not brought up for a vote on the floor of the Senate? Haven't they ever heard of the filibuster, which the Republicans have used to excess? Hasn't it ever occurred to these extremists that Democrats can and do filibuster bills just as easily as Republicans? So, what's John Boehner's excuse, besides personal and political ideology, for not bringing bills to the floor of the House for a vote? None. Republicans were in power, enacting their "boom then bust" economic policies, when we suffered the two worst economic downturns in this nation's history, The Great Depression and The Great Recession. You can deny the truth of the facts, all that you want. Thanks to Dubya, most of American has seen the right wing lie machine. bill clinton handed dubya the dot com recession and the 9-11 attack in its final stages of execution (after numerous other aq attacks and his refusal to orde rthe take down of bin laden when they had him in the gun sights). he took those lemons and turned it into 50 consecutive months of good economic growth and low unemployment (not this 6-8% obama calls good!). the fact that banks were forced to lenders that couldn't pay their mortgages had nothing to do with dubya. actually, he and the republicans had repeatedly warned about fannie mae and freddie mac taking on all that subprime lending but democrats like barney frank defended them ferociously, said nothing was wrong. At least with Republicans there IS a boom!! With Democrats, there is just bust, broke and food stamps! Not surprising when talking about the president's poll numbers that they ignore their own given they are less than half the president's. Boom and Bust Cycles? I would call that More Liberal Policies where Liberals jump off the deep end with no life preserver. You've hear the old Saying: WITH YOUR MONEY AND MY BRAINS, WE WILL GO PLACES. Your friend, Lyndon Johnson took a look at all the money in Social Security, You remember that don't you Rudy, and said, We are going to spend this money! Well Rudy, 18 Trillion Dollars later, the Liberals, your friends have no idea what's coming down the pike. With that 18 Trillion Dollar Federal Debt I would say we are in the Mother of all "Bust" Cycles"
This week your Buddy is screaming about Infrastructure. Next week he will be screaming about interpreters for all the border jumpers that can't speak English when they are put in the school system. Paid by the local taxpayers, by the way. You think people are going to be mad, Rudy ??? Bush, as late as July 08, the economy is strong, you mean those warnings?